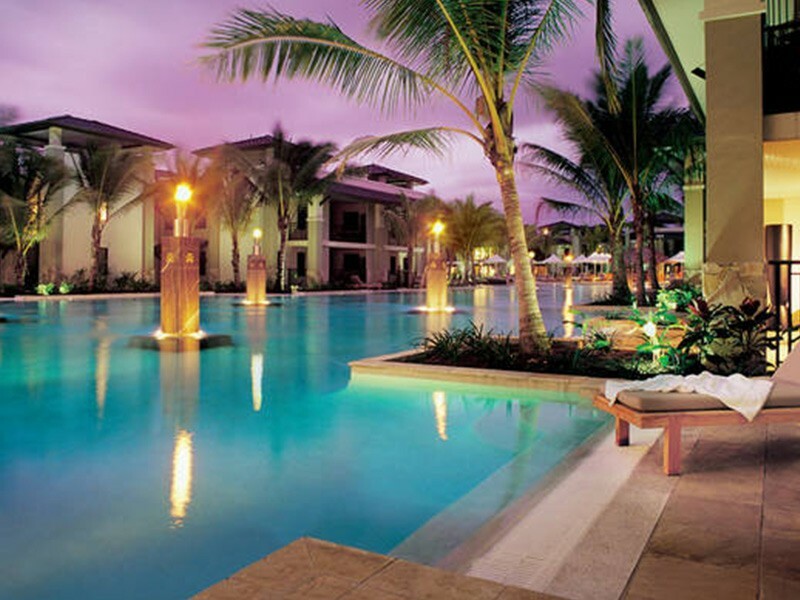 Port Douglas is a serene and tropical paradise situated on the Queensland coastline, an hour’s drive north of Cairns. The sleepy beachside town is comprised of a selection of sophisticated resorts peppered from beachfront to rainforest, elegant and friendly boutique shops and first class dining most of which you will find on the Macrossan Street aka the main strip, and the main attraction – the palm-lined Four Mile Beach complete with white sand, and calm aqua waters. 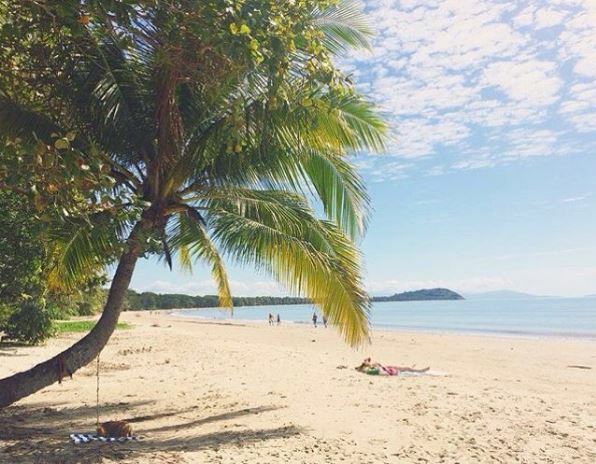 What you will love about Port Douglas is its quite charm and picture perfect surrounds. It’s a beautiful destination for couples and families alike, as there is plenty to do from Great Barrier Reef adventures and fishing charters, to rainforest 4WD tours, to visiting the local markets or stopping by the Wildlife Habitat! 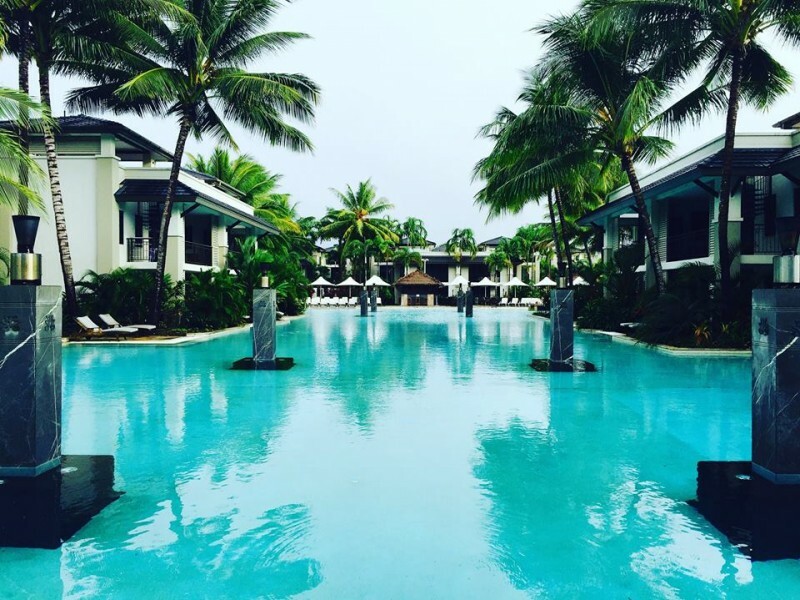 However, Port Douglas is also famous for being the perfect place to stop, relax, and unwind spending your days poolside, cocktail and book in hand, and not moving for hours! No matter what your holiday agenda the Sea Temple Private Apartments by Boutique Collection offer world class facilities, spacious accommodation, and pure unadulterated luxury by the spade. It is important to note that the main resort is Pullman Port Douglas Sea Temple Resort and Spa, and The Boutique Collection are a separate company who have handpicked an array of luxury accommodation within the resort that are managed independently to provide an outstanding level of service and care at with exceptional value for money. Guests of the Sea Temple Private Apartments by Boutique Collection have access to all the same facilities as Pullman guests, including the beautiful and expansive lagoon pool, restaurant, day spa, gym, resort shop, pool bar, and bar and lounge. From the moment you enter the Sea Temple you will be in absolute awe; located on the secluded beachfront of the famous Four Mile Beach, the Sea Temple’s lavish design was created with relaxation and luxury in mind. The modern architecture has been crafted around its magnificent centre piece, the enormous 3000 square meter sparkling lagoon pool. This piece of art is framed by tropical gardens and flame lit to create a charming ethereal ambience you will struggle to pull yourself away from. You can enjoy days at a time by the beautiful pool enjoying a cocktail or mocktail from the pool bar sprawled out on a deck chair, soaking up the tropical vitamin D (renowned as much better than the regular stuff!) and nights enjoying a pre-dinner drink bathed in a flame-lit glow. There is also a children’s pool for the kids to enjoy their own space comfortably with Mum and Dad. Sea Temple Private Apartments have an array of accommodation options to choose from including a studios, apartments, Swim Out Apartments, Plunge Pool Apartments, and Penthouses. All options are luxuriously appointed and spacious with large living areas. Studios feature tea and coffee making facilities and a large spa bath to enjoy. Apartments boast fully equipped and modern kitchens and relaxing spa baths with views out to the luxurious pool or tropical gardens. Swim Out Apartments enjoy the added bonus of a balcony that opens up to your own private access to the stunning lagoon pool, so you can wake up, walk out, and jump straight into the sparkling crystal clear waters! Plunge pool apartments, are as the name suggests, apartments fitted with your own private pool in the courtyard of your beautiful ground floor apartment. You will also enjoy open-air design as well as spa bath in the bathroom! Finally Penthouse apartments adorn the highest level of the building and boast spectacular views, glamourous finishings, and a private roof top BBQ and Spa area to enjoy to yourself or for entertaining! If you manage to tear yourself away from the beautiful rooms (this may take a while!) we do suggest taking a way down the direct access path to the secluded Four Mile Beach front for a stroll along the water. This beautiful beach is a gorgeous spot for couples and families alike, as the calm waters are perfect for small children, but keep in mind what time of year you are visiting as there are certain times of year known as ‘stinger season’ requiring you to wear wet suits or enjoy the pool areas in the resort exclusively. Another must-do while visiting the Sea Temple is visiting Vie Day Spa to enjoy one of the many treatments on offer, including facials, massage, treatments for men, manicures, pedicures and more. For golf enthusiasts, there is an adjoining 18 hole championship golf course for you to test your game while away! 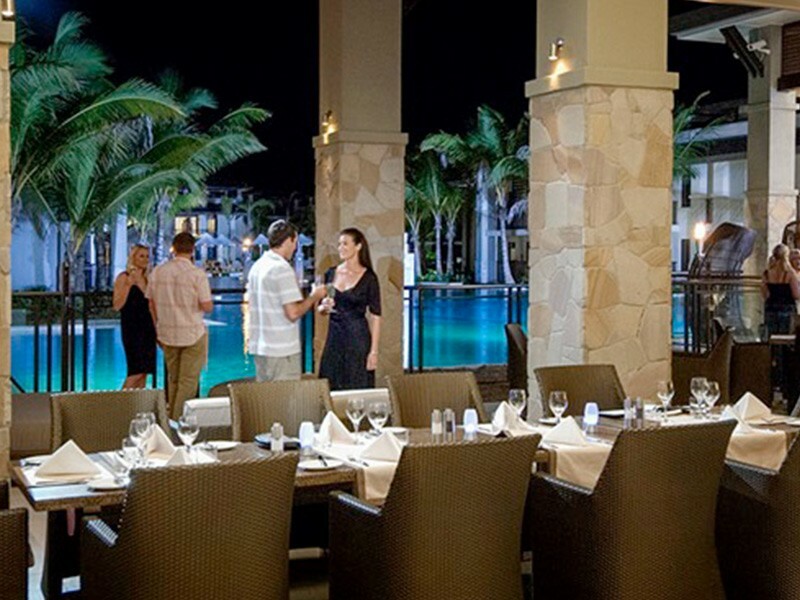 Aqua Restaurant is the onsite restaurant offering both indoor and alfresco dining so you can enjoy delicious modern Australian cuisine while overlooking the flame-lit lagoon. You can also sit back and enjoy snacks and drinks by the pool delivered from the pool bar right to your deck chair! Of course, what would a pool bar be without happy hour? Visit between 5 and 7 for the happiest drinks of the day. 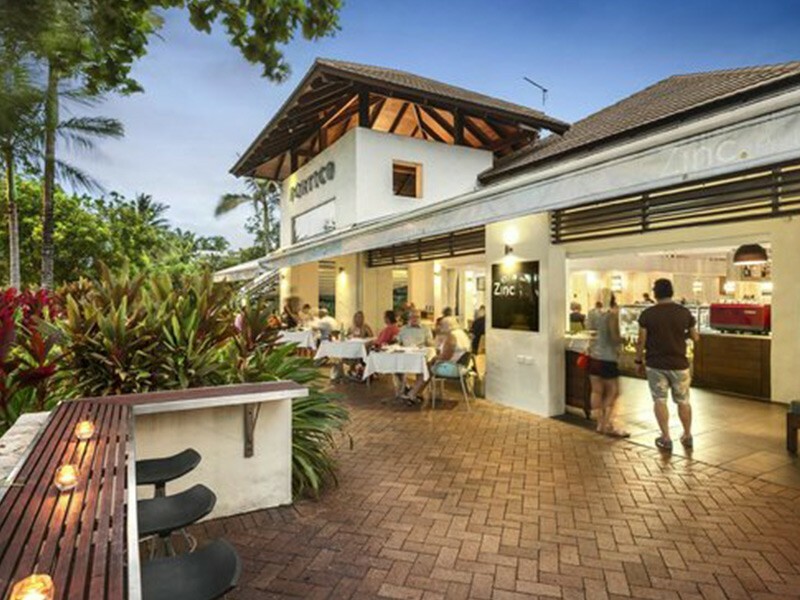 Dining is in no short order in Port Douglas, who is fast becoming a dining mecca, in fact wandering down to Macrossan Street and seeing where the night takes you is a great way to explore the area and there are honestly no bad choices in Port Douglas! However, we do have a few tips on dining, so here it goes: one of our absolute favourites is Zinc Restaurant and Lounge Bar, this restaurant boasts a fantastic menu for breakfast, lunch and dinner with reasonably priced meals that will not disappoint! Bring the kids down before 6pm and they eat dinner free! Watergate Restaurant and Bar is situated down a flame-lit path, just off Macrossan Street and have a beautiful modern Australian menu with fresh, locally sourced produce. Even if you run out of evenings to dine here, we recommend popping in for a drink as both the cocktail menu and ambience are second-to-none! Finally for a truly up-market experience, you cannot look past Nautilus. This beautiful restaurant takes dining in the tree tops to another level. After entering through a hidden walkway you will find yourself emerging on a deck amongst the rainforest canopy – you will completely forget you’re still in the centre of town! The amazing views, paired with tropical surrounds, and delectable cuisine create a romantic and addictive atmosphere you’ll absolutely love. 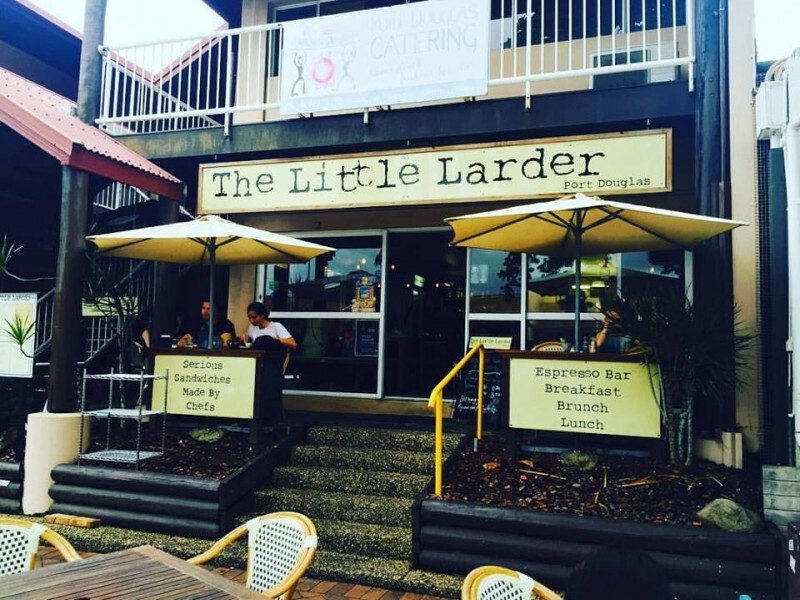 There are also a host of great breakfast nooks in town but our two favourite spots are Fresq and Little Larder Café, both have great menu’s lovely staff, and amazing meals. As well as an amazing dining scene, Port Douglas is a natural wonderland with plenty to see and do. 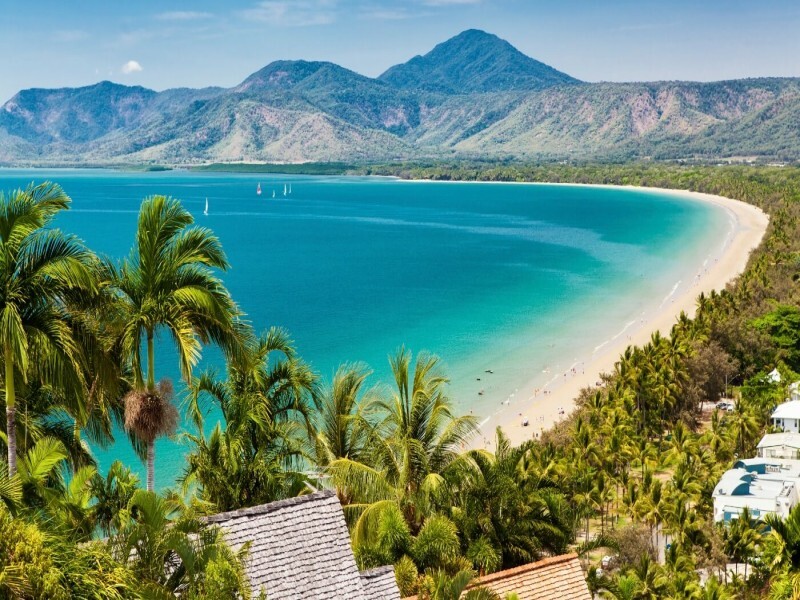 The quaint beachside town is framed by not one, but two World Heritage Listed Natural Wonders including the Great Barrier Reef and Daintree Rainforest. 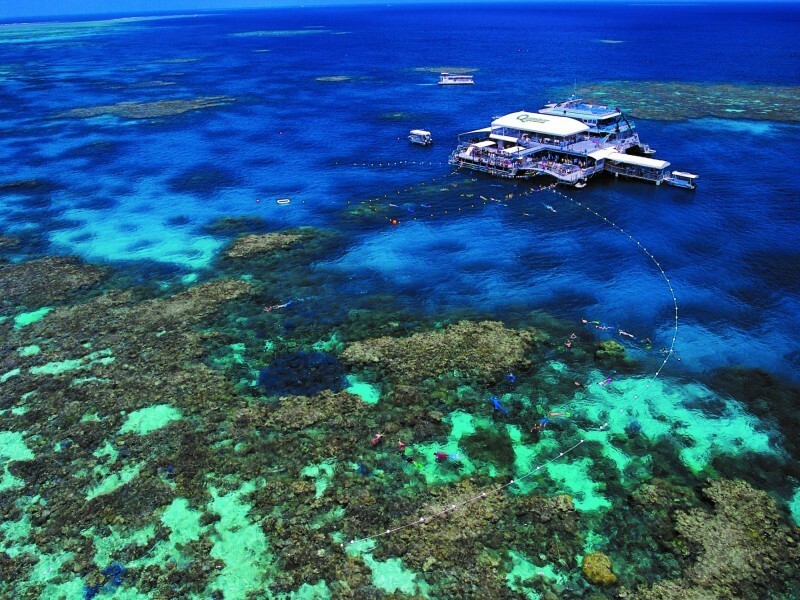 Port Douglas has long been a fantastic base for reef exploration, and there are plenty of ways to experience this universe under the water. Enjoy a glass bottom boat trip, snorkelling adventure, scuba diving, or you can head to the outer reef on a Quicksilver or Sunlover cruise. You will be picked up from your accommodation and delivered to the terminal where you will board an air conditioned boat to be jetted out to the reef where you can dive in either in snorkels or scuba equipment to immerse yourself in a world of vibrant tropical fish and coral. Other water sports on offer in town include kayaking tours, stand up paddle boarding sessions, Jet Ski hire, fishing charters, and boat hire to explore the water yourself. Water fun is available in abundance! 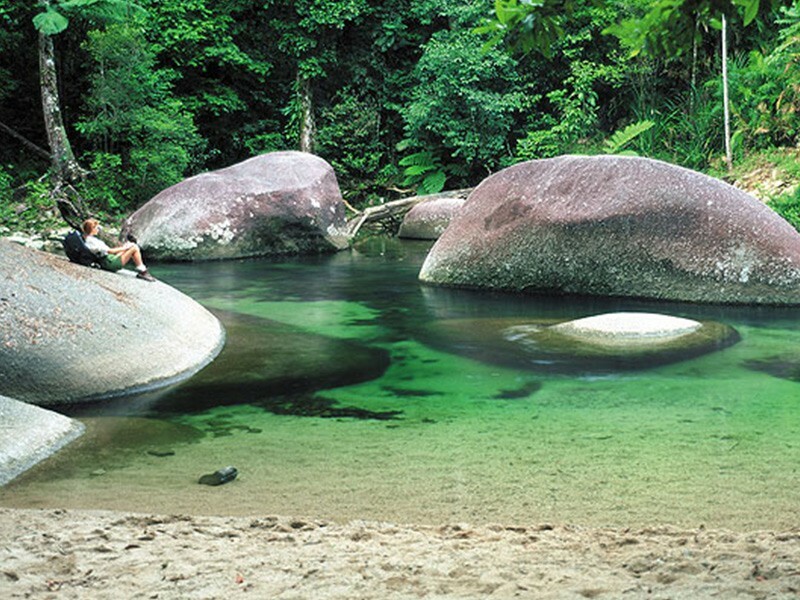 Heading inland you will find another natural beauty – the Daintree Rainforest – just waiting to impress visitors with its luscious greenery and surprises including the beautiful Mossman Gorge, Cassowary Waterfalls, and Daintree Village just to name a few. You can enjoy lovely rainforest walks that vary in difficulty from easy to hard – whichever you please! There are also 4WD tours to be enjoyed. Holidaying in Port Douglas feels as if you’ve been transported to another world made up of tranquillity, peacefulness and natural beauty in abundance. This charming town has become a popular destination among Australian and international travellers and accommodates guests with beautiful accommodation, restaurants, boutique shops and more all while retaining its laid back culture and flawless beaches. It truly is a haven, and Sea Temple Private Apartments by Boutique Collection are a luxuriously unique way to experience the very best Port Douglas has to offer in 5 Star style. 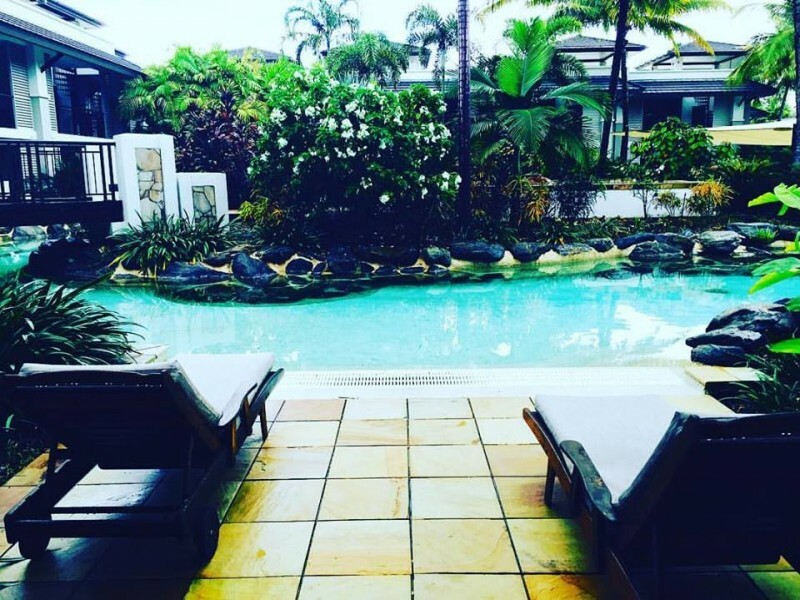 Situated in Port Douglas, one of Tropical North Queensland's most desired holiday destinations, Oaks Lagoons combines deluxe accommodation, a range of leisure facilities and easy access to the magical Great Barrier Reef and Daintree Rainforest, making it the perfect holiday destination.